Elizzabeth Hope: November Wish List! 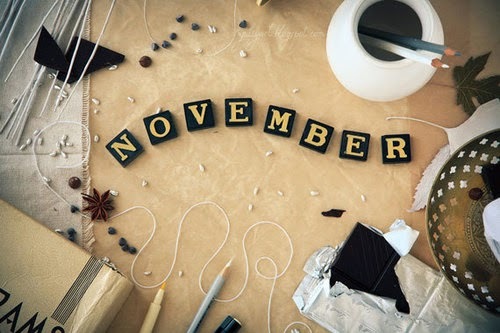 The month of November has brought to my attention how much stuff I actually need to get...(well want to get!) From makeup to clothes(ovi!) to jewelry to everything in between! Here is my November Wish List! 1. Under Eye Concealer : If anyone has suggestions for concealer please let me know! I'm trying to find one that will be good for covering dark circles! 2. Bobbi Brown Tawny Pink Lipstick : Ingrid (aka MissGlamourazzi) had on this lipstick in one of her new videos and I love it! Looks like the perfect shade for fall into winter!! 3. Kat Von D Liquid Eyeliner : I've been eyeing a new eyeliner instead of my usual MAC Carbon eyeshadow I turn into eyeliner! This one seems to get good reviews! 1. Poncho : I've been wanting to get a poncho since the summer but never seemed to get one! Either I'm going to make one or buy one but I have to act fast before they go out of style! 2. Plaid scarf : I had a plaid scarf that looked like one from Burberry a while back ago but I really want one that is red! Totally random I know but I still really want one! 3. Flats : Of course, who doesn't need more shoes! One can never have too many shoes!!! I surprisingly don't have any flats except the Tory Burch ones but they don't fit me well at all and are very uncountable...I need to stretch them out or something soon! 4. Mittens : It's getting cold and I need to cover my hands!! Vineyard Vines is getting a new mittens with whales on them so obviously I need them! 1. Tall Mirror from Target : There's a tall mirror from Target that's around $50 I believe...So I can take pictures of my outfits for instagram!!!! That's it for now! I can't think of anything else at the moment! Follow me on twitter and instagram to see if I get what I need this November!! !